Carl Cheng, Santa Monica Art Tool: "Walk on LA." 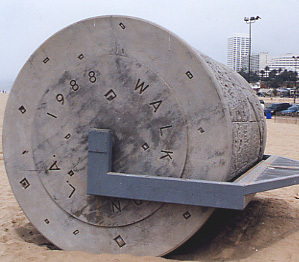 Santa Monica Art Tool: "Walk on LA." 1988, Carl Cheng. Constructed by John Doe Co. 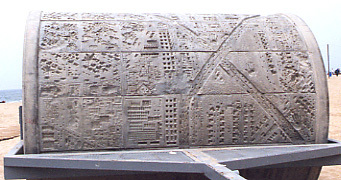 Cast concrete and steel. 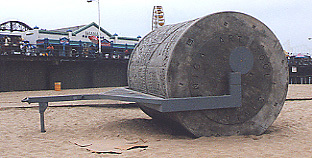 Commissioned by the City of Santa Monica Percent for Art program as part of the Natural Elements Sculpture (NES) Park with funds from the National Endowment for the Arts and the Santa Monica Arts Foundation. Santa Monica beach, just north of the pier.